1. 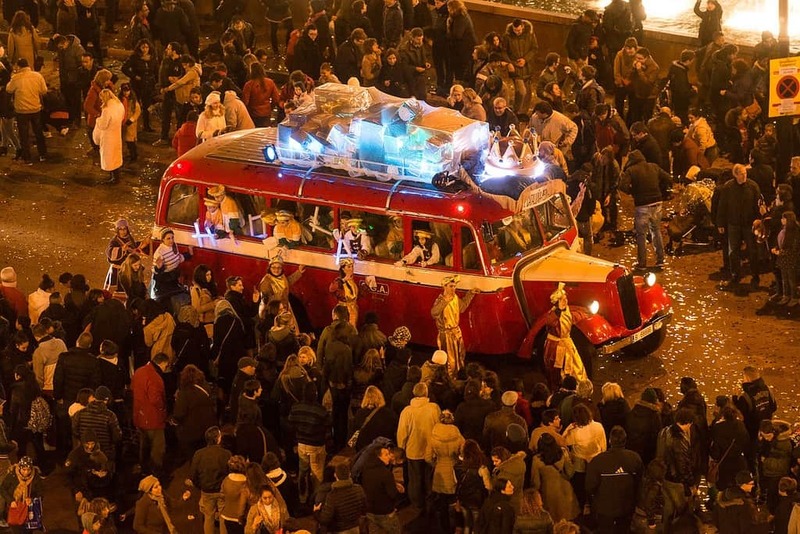 Visit the Pessebre at Plaça Sant Jaume. 2. Take a photo in front of the huge Christmas trees. 3. Look at the decorative lights at night. 4. Shop at the Fira de Nadal de la Sagrada Familia. 5. Shop at the larger Fira de Santa Llúcia. 6. Go ice skating at L’Illa Diagonal Shopping Centre. 7. Have a hot chocolate at Granja La Pallaresa. 7. See the Christmas-themed Magic Fountain Show. 8. Watch the Three Kings’ Parade. 9. 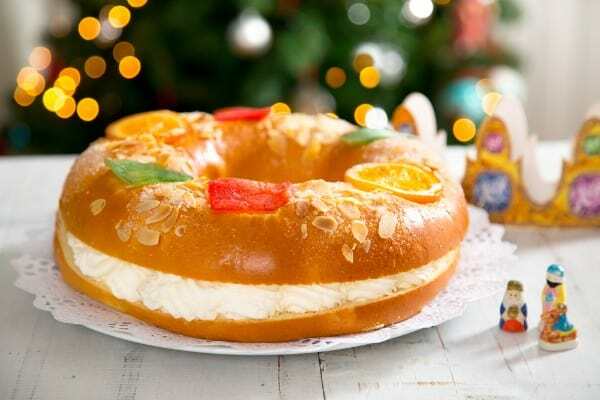 Eat a Three Kings’ Cake. 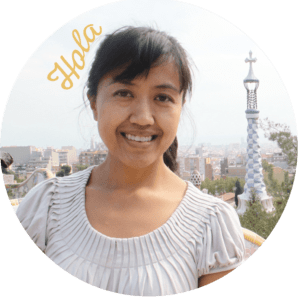 Every December I tell myself, “I want the full Christmas experience in Barcelona!” I want to get in the holiday mood, indulge myself in the festivities, feel that special holiday magic that only comes once a year. 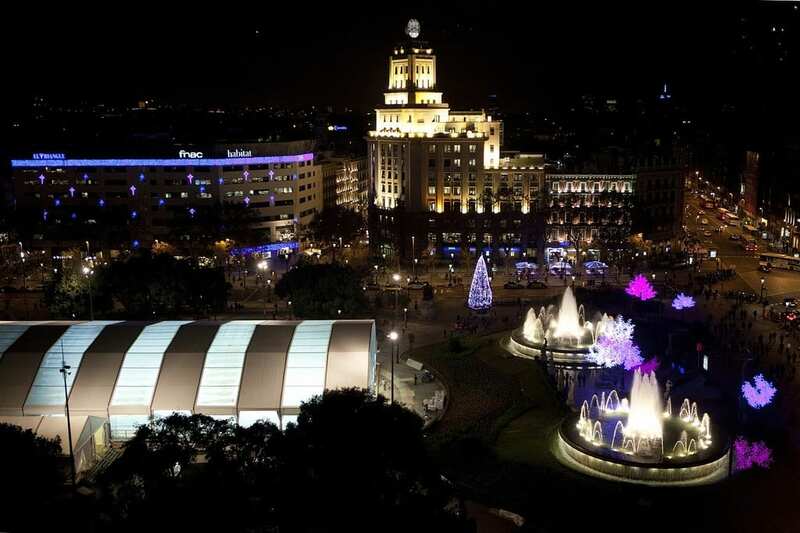 The city lights by Plaça Catalunya, the Christmas markets full of nativity figurines, the caganer, and the caga tió — that makes for a unique Christmas in Barcelona. The great part is that the holiday season in Spain extends until January 6 on Three Kings’ Day (unlike in the US), which gives us an extra week to celebrate and gorge on some turron and xocolata. The Pessebre, or Nativity Scene, changes every year. This year, it’s a very minimalist scene. but it’s always in Plaça Sant Jaume. 2013 brought us a modern-day Nativity, but 2014 swung the pendulum back at a traditional scene: rolling pastures, a draped Virgin Mary, baby Jesus, and all those farm animals. 2018 brings an interesting theme: “Tots a Taula” (“Everyone at the table”), where the typical characters in a Nativity Scene are chairs. While I thought it was strange, I checked it out. It was fun to figure out who was who! 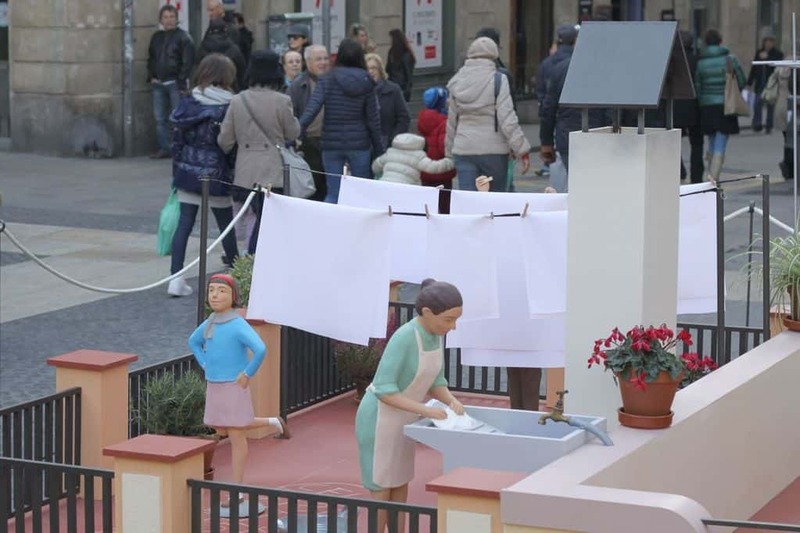 2013’s Nativity Scene was a neighborhood of Barcelona. Just the sheer scale alone makes a grown man squeal with Christmas delight. Ornaments as big as a large beach ball? Yeah! You can find these trees mostly in the center. Usually, they’re sponsored by a company like jeweler Tous. (Commercialism and Christmas are inseparable.) And in Portal de L’Angel, you can tweet with the hashtag #merryTOUS, and your tweet will show up on the tree’s garland for everyone to see. Plus you can see your live tweets here. This large Christmas tree has a digital garland with your tweets. 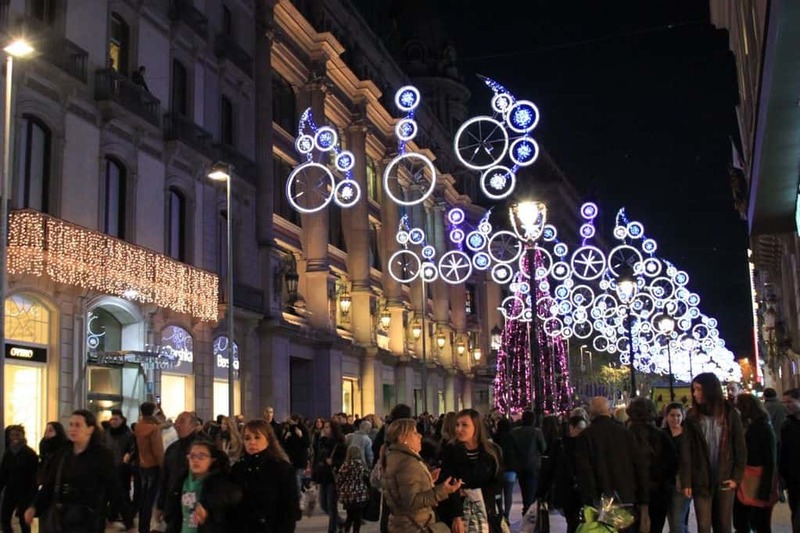 The bright Christmas lights give the city that special winter wonderland touch, which helps since it doesn’t snow in Barcelona. Nyam nyam nyam, glup glup glup, xin xin xin, muac muac muac! 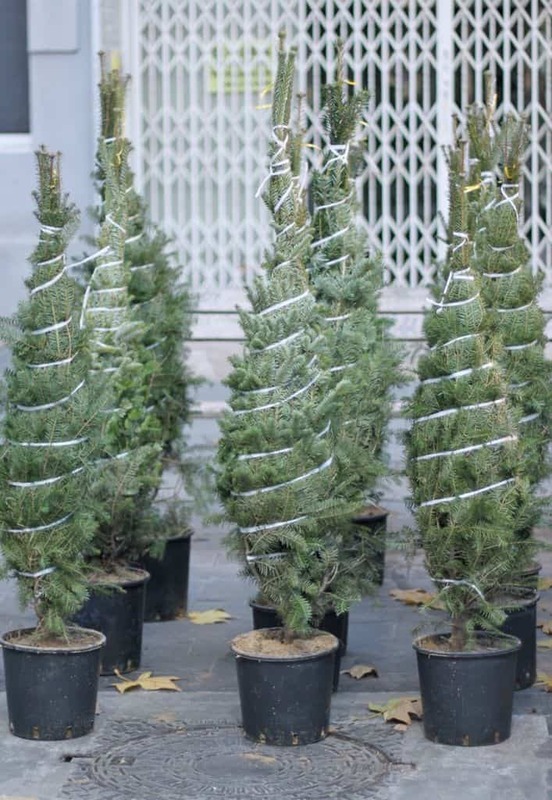 These and other holiday-related onomatopoeic sounds brighten up Gran Via starting at Plaça Universitat. 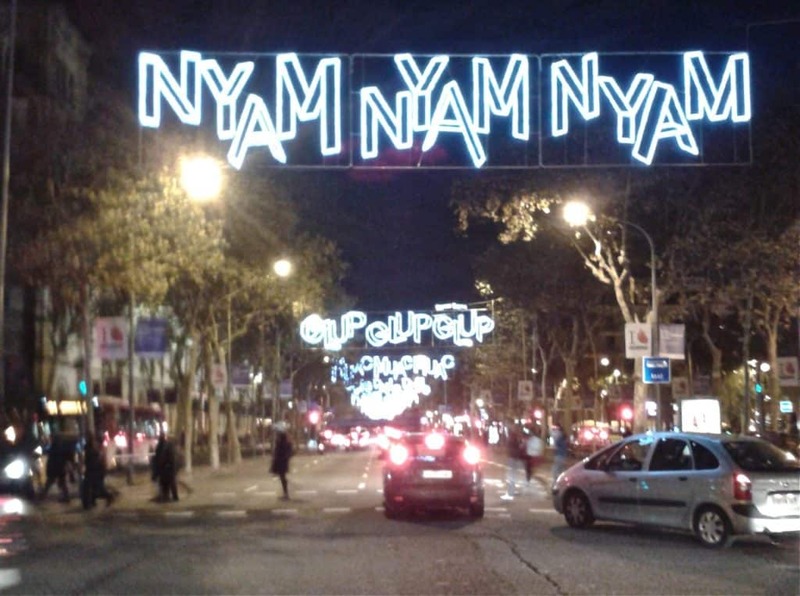 Gran Via incorporates onomatopoeia in their Christmas lights. 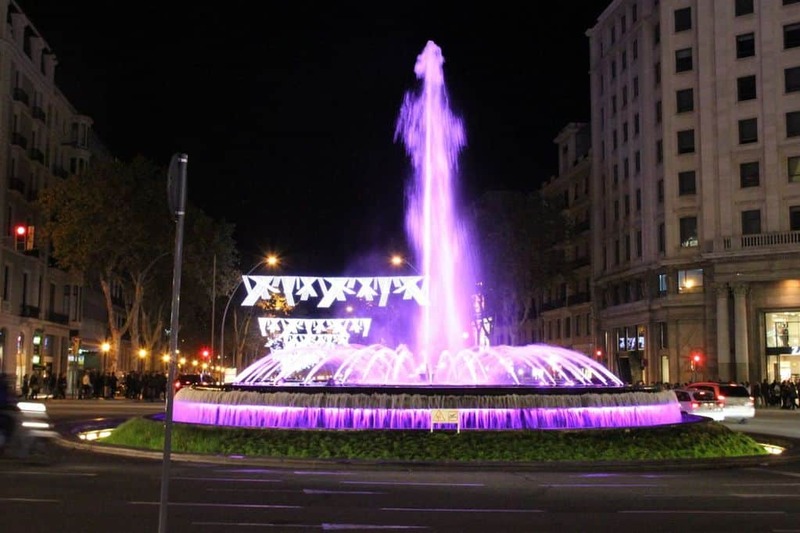 Fountain at Passeig de Gracia. 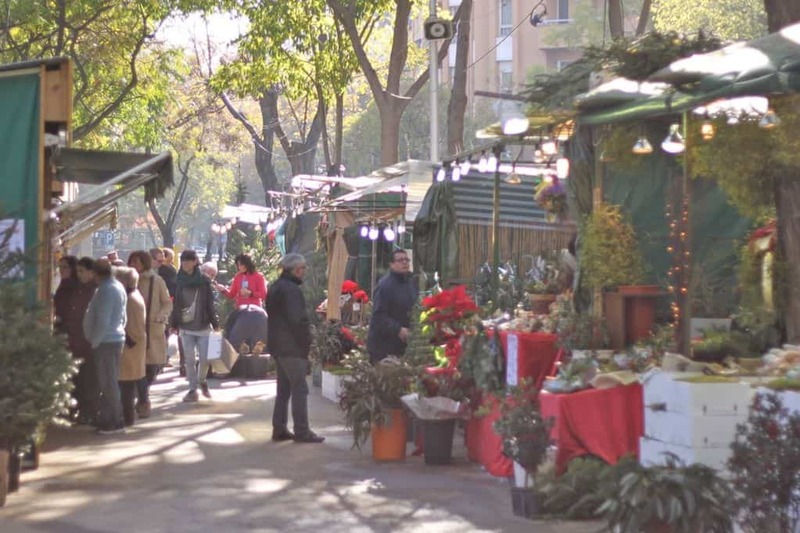 Several Christmas markets pop up around Barcelona, and the Fira de Nadal de la Sagrada Familia shares a spectacular space in front of the famous Sagrada Familia basilica. 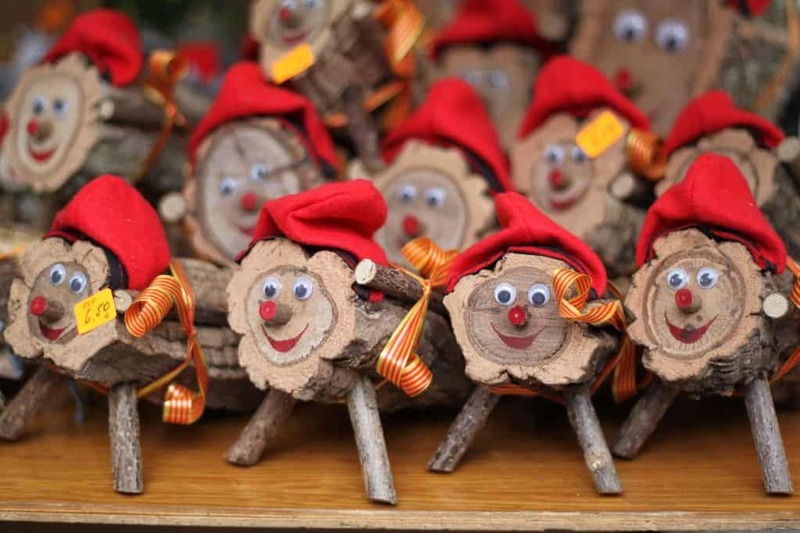 With about 100 stalls, the Christmas market sells holiday decorations, Christmas trees, nativity scenes, handmade toys, and the traditional caganers and caga tiós. 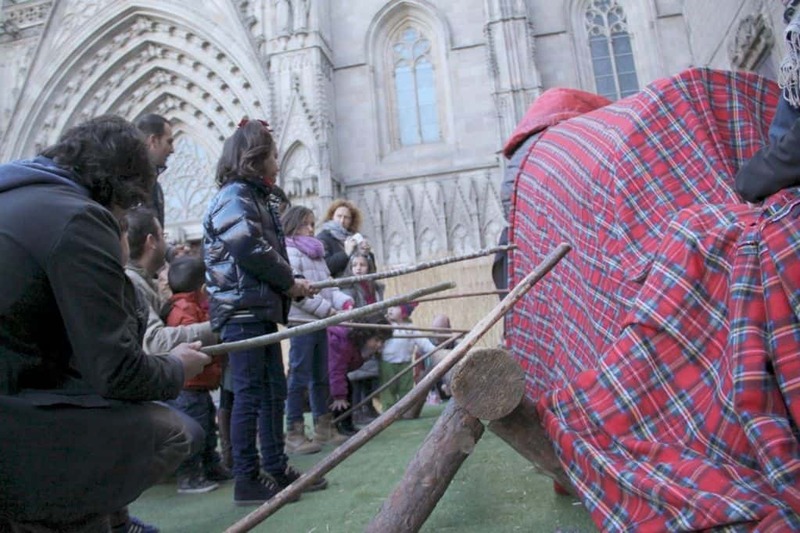 The mother of all Barcelona Christmas markets, the Santa Llúcia fair, dresses up the plaza right in front of the Barcelona Cathedral. The famed market fills up fast on a weekend, so much that you’ll feel like cattle going through. 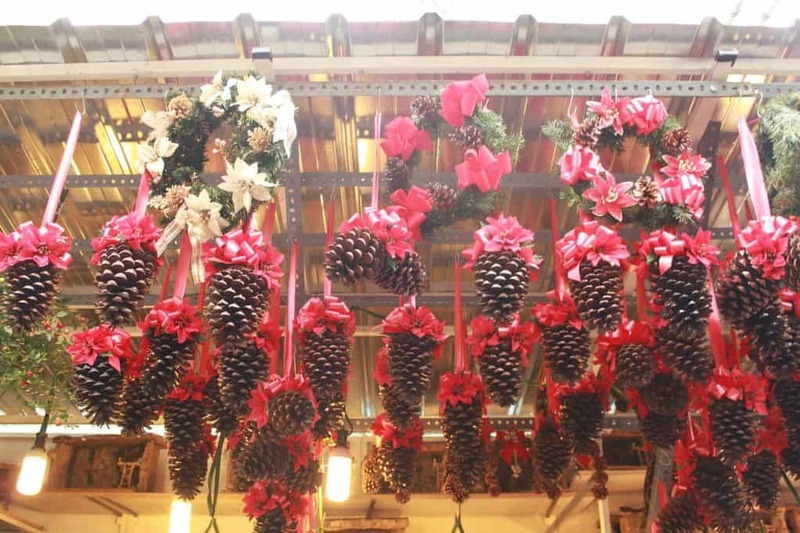 If you’re a browser, you probably won’t mind going at a snail’s pace and looking at the decorated stalls. 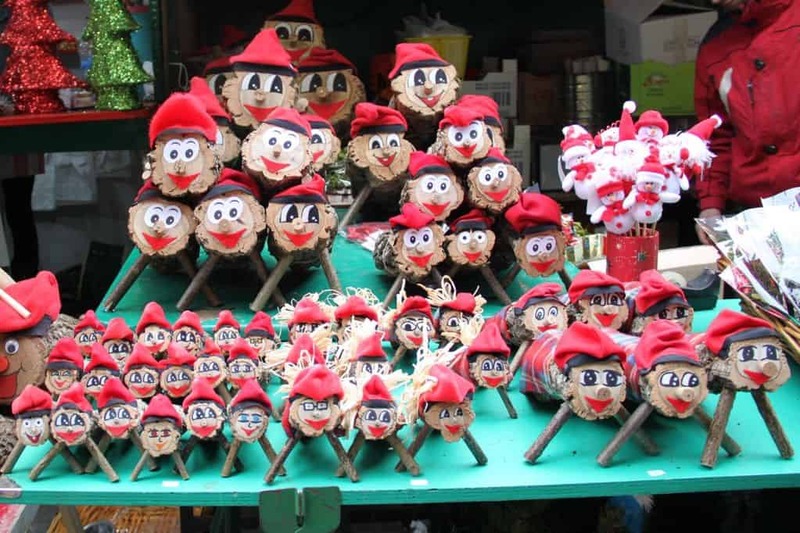 The Fira de Santa Llúcia also has a program of activities, including a gigantic tió de Nadal for children to beat with a stick and a Carassa de Nadal (a big head) who spits out candy for the kids. Smackin’ that tió. 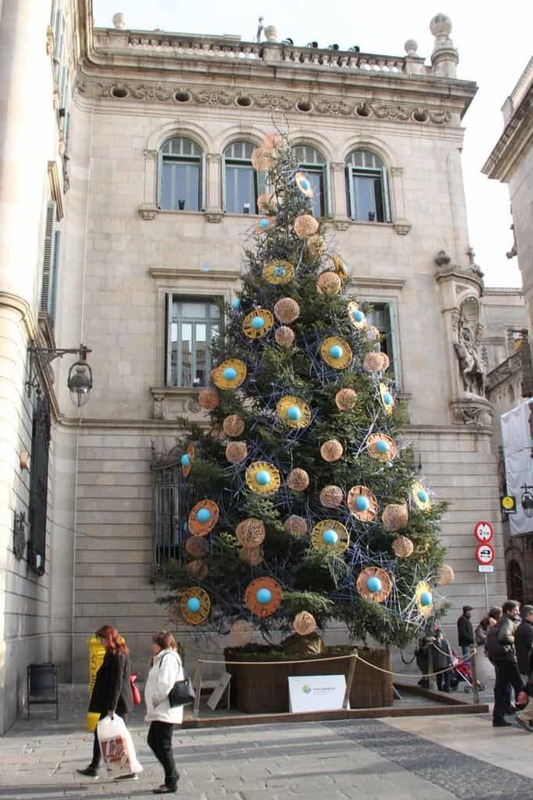 This is hands-down one of my favorite Barcelona Christmas traditions. 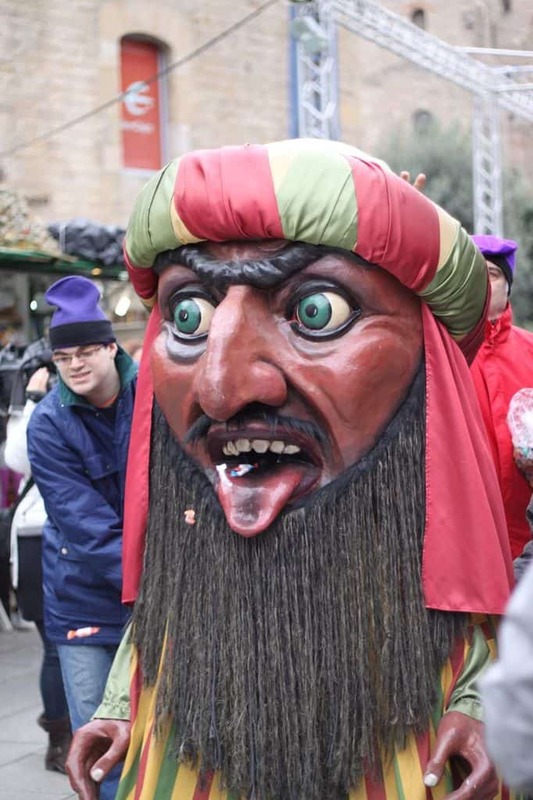 The Carassa de Nadal spits out candy. He is said to be a Moor. 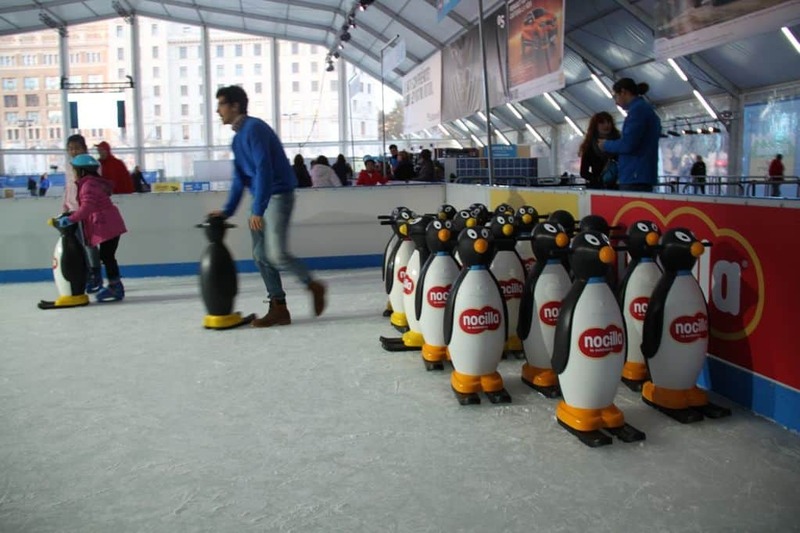 Practice your Olympic ice-skating skills at the ice skating rink at the Pista de Hielo at the L’Illa! ( <– Click on the link to get a 1 euro off discount.) Skaters can practice their 360º spinning in the main area, and the small novices can skate in a reserved smaller rink. To practice, children can hang on to these cute little penguins to guide them. And If you don’t feel like skating, you can hang out on the sidelines and laugh at people as they eat it on the ice. 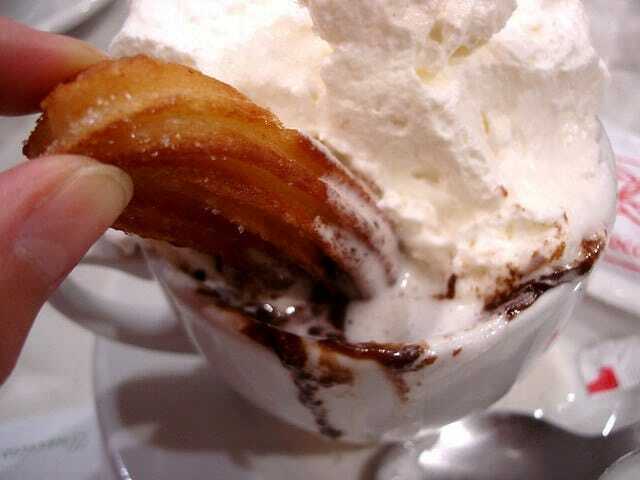 Nestled in the Barri Gótic, Granja La Pallaresa has a reputation for having the best hot chocolate in town. You can also order whipped cream by the plateful and scoop it up to top your drink. Paired with xurros or melindros, this drink makes for a rich, filling snack. And their waiters wear white shirts and black bow ties — a nice touch, methinks. Nyam nyam nyam, glup glup glup. Photo by su-lin. 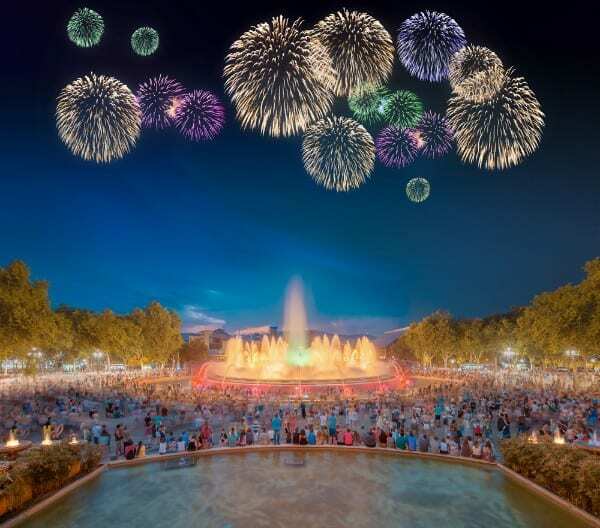 From December 1 to January 5, 2019, the Magic Fountain is a show of H2O: vibrant lights, dancing waters, and all done to festive holiday music. They have a special schedule on December 31 and January 5! See the full schedule for details or see the Magic Fountain’s Facebook page. The three kings make rock stars look bad. 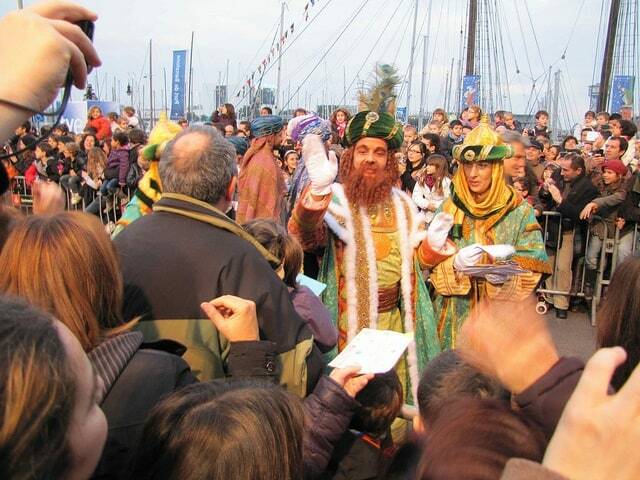 On January 5, the men of the Orient arrive in a boat at the Port of Barcelona while screaming kids yell, “Melchor! Balthasar! Gaspar!” The Three Kings’ Parade starts Via Laeitana and ends at the Magic Fountain in Montjuic. 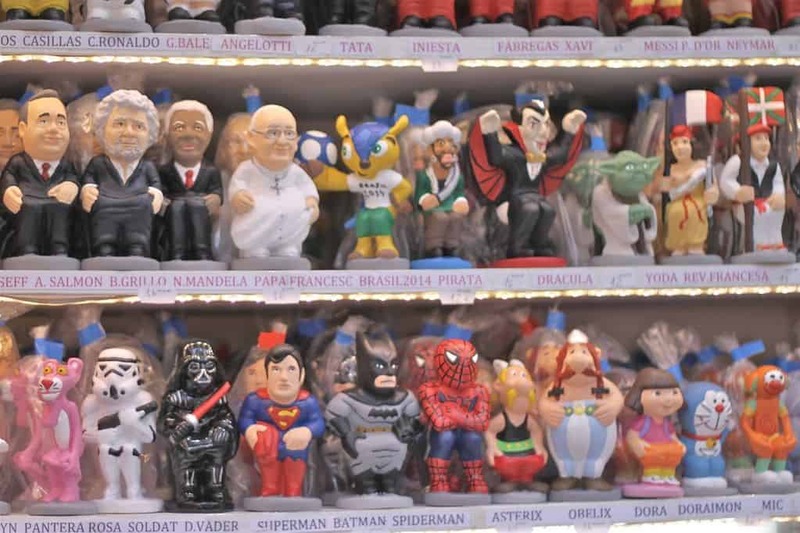 The three Wise men and other carloads of characters throw fistfuls of sweets to the people. Bring a bag for your goodies! But every barri, or neighborhood, has their own parade, so if you can’t make it to the center, you can at least stay local and won’t have to fight the larger crowds for candy. The merry wise men have arrived. Photo by Liz Castro. Let’s get this party started. Photo by TMB Flickr. Following the parade the next day, January 6, children open their presents and eat a Three Kings cake, or a Tortell de Reis (Catalan), Roscón de Reyes (Spanish). Beware! You might bite into a tiny prize nestled inside, such as a ceramic figurine, as to which you are considered to be one lucky duck. What’s number 10? Well spend Christmas with people you love. That’s it for now! Sending a MUAC MUAC to you and yours! 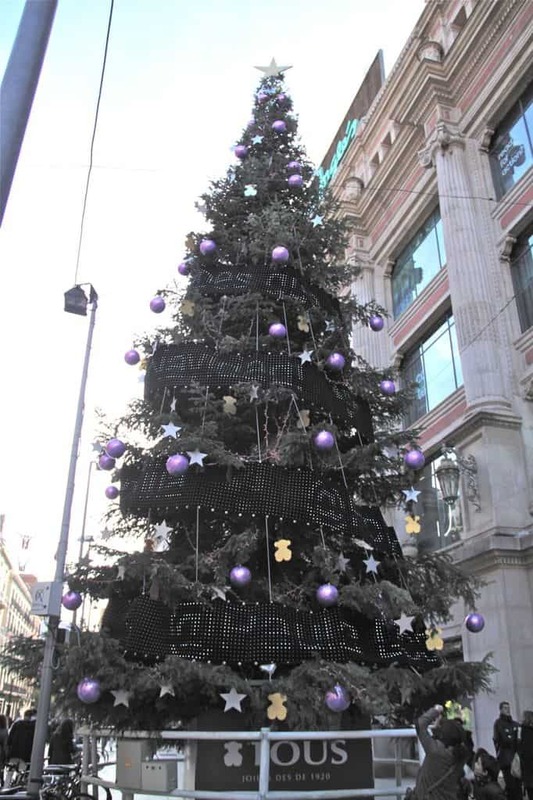 Have you ever spent Christmas in Barcelona? Or are you coming? Love the penguin idea for the kids – I, of course, would need one too (can’t stay on my feet!) – Great post, very informative.